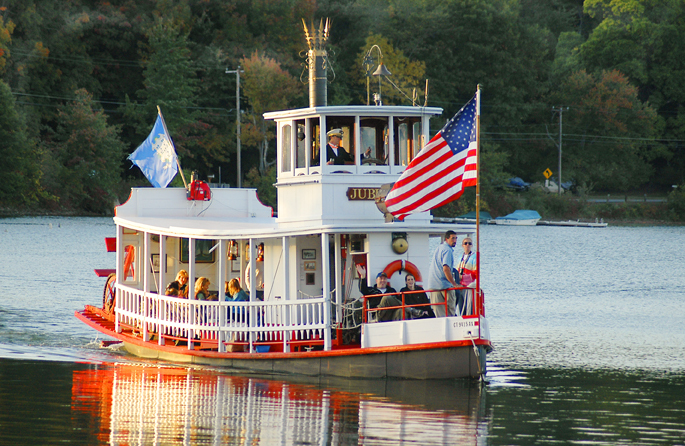 The Jubilee is a forty-one foot sternwheeler, driven by a gas engine. The boat was last listed at the American Sternwheel Assocation. Photo by Jeff Wignall.